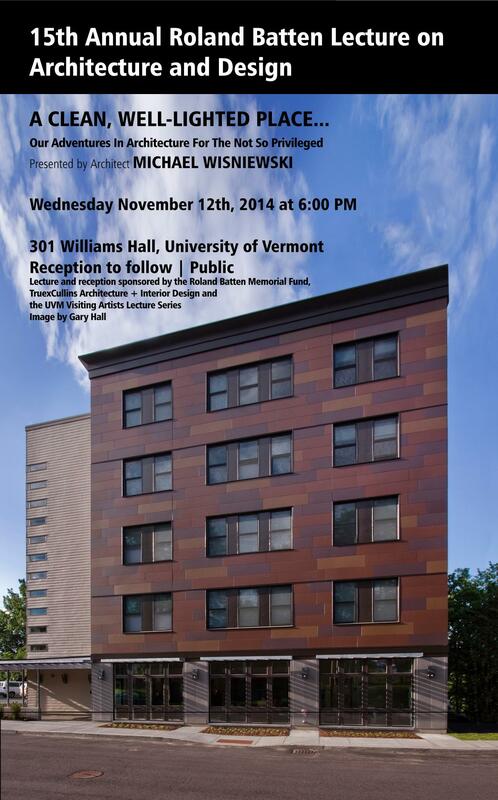 We’re excited to spread the word about the 15th annual Roland Batten Lecture on Architecture and Design. 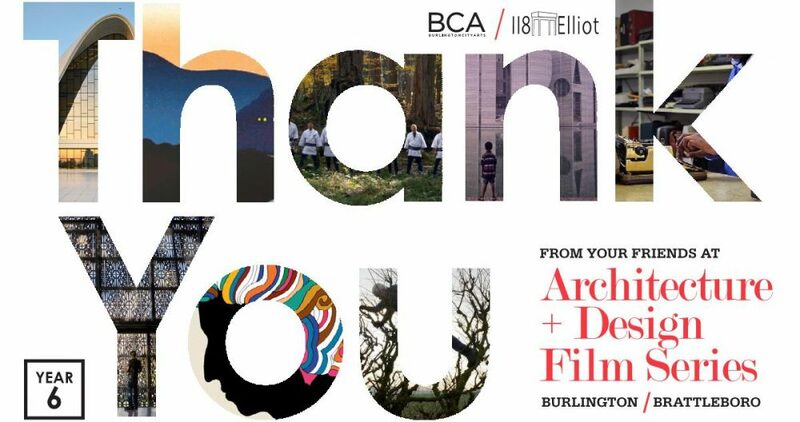 This event is sponsored by the Roland Batten Memorial Fund, TruexCullins Architecture + Interior Design, the UVM Visiting Artists Lecture Series and hosted by UVM. Page through the history of architecture and you will be thrilled and dazzled by public structures and spaces as well as palatial mansions for the privileged and powerful but you won’t find much about housing for regular people. After a brief look at multifamily housing in recent history, we will tour a series of exceedingly modest buildings and neighborhoods completed or on the drawing boards. We will explore the economic and permitting forces that shape and constrain design in the non-profit world. We have slowly learned some things but that doesn’t mean there won’t be a lot of angst over not being able to do more. The title is taken from a short story by Ernest Hemingway.